Nike men’s free trainer 1.0 training shoe is a training shoe deliberately custom-made with husks to make it more flexible, boost its grip and ultimate fit. The shoe platform offers flexible steadiness that gives wearers a barefoot feel. It’s made with highly durable Kurim material that moves with your foot. It is made up of rubber material that covers the upper part of your feet and protects it from possible abrasion. The shoe comes with hexagonal flex grooves which combine with the thin outsole to produce six different flex points to ensure a complete range of motion. The shoe is one of the best selling training shoes on Amazon and is rated as one of the best in the market today. The light weight feature makes it excellently endearing. The comfy feel of the shoe and the glide feel remind you of a car tire. If you’re on the market for a shoe like no other by one of the most popular brands in the industry, then look no further. We lay out the features, pros and cons below so you can make a swift decision on whether these are suitable for your needs. • It is a synthetic-and-mesh shoe with a rubber outsole. • It is made from a highly durable Kurim. • It features flywire cables. • The flywire cables are combined with the laces to give added cushioning effects and support to the middle part of your foot. • The slender rubber outsole together with its hexagonal flex grooves produces six different points. • The shoe Size: The shoe comes in both large and small sizes. Sample sizes include the including: 9 D (M) US, 9.5 D (M) and 10.5 D (M) US size. • Shoe Color: The shoe comes in varied colors including Cargo Khaki color, Military color, green color, black color, Dark Grey, Electric Green, Cargo Khaki, Militia Green, white color and spring Leaf color. • Shipping Info: It comes in a nicely packed box and arrives in time. 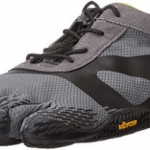 • It is a great training shoe and extremely good for HIIT or cross training. • It offers excellent versatility for lifting, calisthenics, kicking and jumping. • It is good for sprint walks but not for long runs. • The shoe is fantastic and perfect for “full gym” training. • It is highly sturdy for squats and other forms of lifts that need additional support. • The shoe also has a great fit. It fit like a glove on your feet! The fit is superb without socks. If you plan to wear it with socks, it is better to buy a half size bigger than your normal size. • A great shoe that is easy to take off and put on. • Their lightweight and excellent wrap around your feet makes you crave to do additional walkout, however, it is not meant for long walks. • The packages are delivered in time when ordered. • The shoe is very comfortable. It gives you a feel of your favorite slippers and at the same time provides you with the support and the traction you need. • It is an ultra light weight shoe with a very comfortable feel. People are immediately attracted and connected to it whenever you wear the shoe out. I guess it is because of how the Nike Mens Free Trainer 1.0 Training shoe was magnificently made. As stylish and cool looking as it is, it is great for doing body combat and body attack with power and dexterity due to its excellent balance, light weight and perfect grip. The pros of this shoe outweigh the cons by far and are not that unbearable given the fact that it provides excellent value for money. We wanted to lay out everything so you could make a decision. • A few customers think that the inner sole is overly padded. • The barefoot feel is lost in the highly arched inner sole with excessive padding. It would have been better if the shoe comes with a minimal inner sole feature. • The excessive padding makes the Nike Mens Free Trainer 1.0 Training shoe very unsuitable and unstable for dead lifting, running, squatting, crosses fitting, thrusting, snatching, clean and jerk. • It has minimal arch support and needs additional insert for adequate support. Overall, the shoe is an excellent training and workout shoe with an incomparable grip and feel. The light weight also makes it highly appealing. The shoe is very comfortable and comes in an attractive, stylish and cool design that makes you immediately want to have one. It fits snugly, offers you supports in the right places and flexes in other areas when necessary. It is great for weight training activities but due to thin soles, it may be unsuitable for long distance running activities. It comes in varieties of sizes and is great for use in every areas of the gym. Whether you want to do squat, dead lift, treadmill, stair climber and so on, it is very comfortable and just the right pair of shoe to use. To get a better fit always order the right size and if you are going to wear it with socks, go for a size smaller than your normal size by half a size. If you plan to train without socks, it is better to go for a down size to get that snug fit. The shoe is its right size when you put socks on. I highly recommend the Nike Mens Free Trainer 1.0 Training shoe for cross fit basic training, weight lifting and various forms of exercise in the gym. However, the shoe may not be a good fit if you plan to use it for running. Apart from that, it is excellent for every other workout use. Although ranked #7 on our list, don’t let this sway you away from a top of the range shoe on the market today. We have no doubt this will also be the case going into 2018, this is one piece of footwear that will not be going out of fashion anytime soon. For more options check out the top 10 shoes we’ve recommended for men.